As part of a series of collaborative opportunities, Indonesian Partnership members have enjoyed a first-hand view of advanced Australian supply chain facilities. During November 2018, the Partnership was strengthened through a number of opportunities for Indonesian and Australian representatives to meet, collaborate and share information. From 11-13 November 2018, the Australia Indonesia Business Council met for their annual conference on the Gold Coast in Australia. The conference explored the opportunities for Australia and Indonesia to strengthen an already broad and ongoing partnership for mutual prosperity. Drawing on their extensive business dealings in both Australia and Indonesia, the Partnership’s new non-government members, Mr David Foote and Mr Troy Setter, provided insights into capitalising on integrated supply chains in the food and agriculture sectors. On 15 November, the Australian and Indonesian co-chairs for the Partnership, Ms Louise van Meurs and Mr Wisnu Wijaya Soedibjo, met in Brisbane for an informal meet and greet. 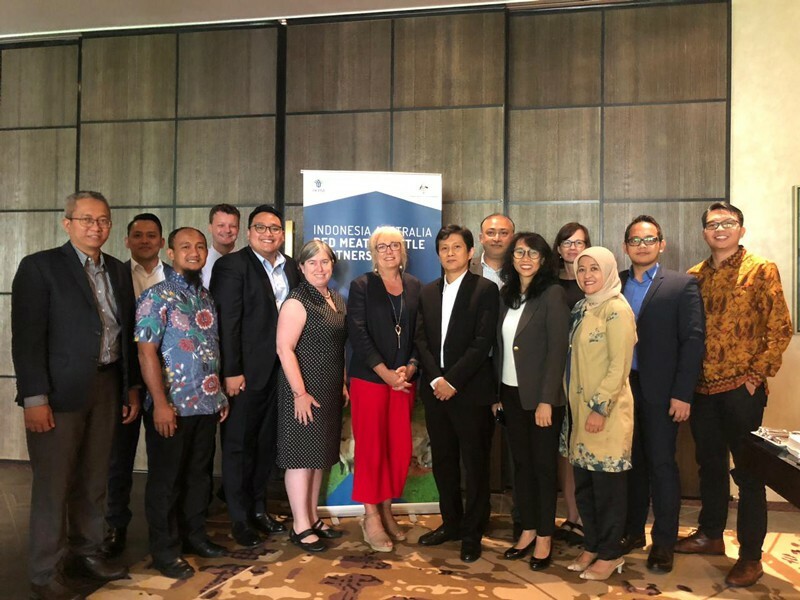 Delegations from both the Indonesian and Australian governments discussed the next steps for the Partnership, including the mid-term review, project proposals, and arrangements for the seventh Partnership meeting in 2019. 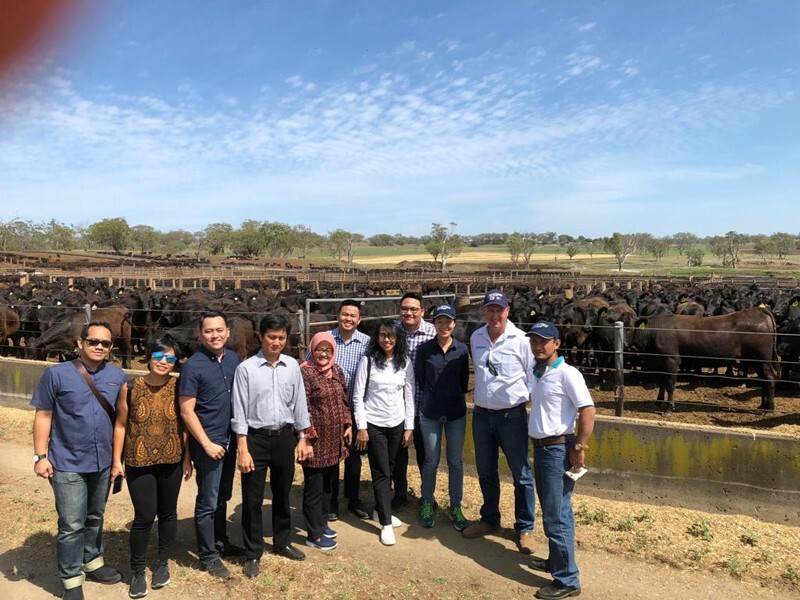 On 16-17 November, the Indonesian delegation—including representatives from the Indonesia Investment Coordinating Board (BKPM), Ministry of Trade, Ministry of Industry and Coordinating Ministry for Economic Affairs— was hosted on a tour of Australian cattle supply chain facilities. Owned by Australian Country Choice, one of the world’s largest vertically integrated supply chain organisations, the Cannon Hill processing facility sits on a 40 hectare site in the eastern suburbs of Brisbane. Australian Country Choice has invested over $150 million to develop a purpose-built facility that incorporates primary processing, further processing and retail-ready packaging of red meat products for national distribution to Coles supermarkets. The primary processing facility has a daily capacity of 1280 head of beef cattle or approximately 80,000 tonnes of carcase beef per annum. The further processing facility has a current annual production of over 10 million kilograms for national distribution. The retail-ready facility currently cuts, prepares, packs and distributes over 15 million kilograms of fresh red meat products. The group from Indonesia was taken on a tour of this HALAL certified facility by the company’s Group Managing Director and Partnership non-government member, Mr David Foote. “Our facility has been continuously halal certified since the start to provide assurance to our clients and we take it seriously,” Mr Foote proudly told the visitors. Operated by Mort & Co, one of the largest and most experienced managers of lot-fed cattle in Australia, the Grassdale Feedlot is located near Dalby, a locality within the Darling Downs region of Southern Queensland. Grassdale Station comprises 5,615 hectares, of which 2,600 hectares are cultivated. The feedlot was opened in 2007 and today has a developed capacity of 52,390 standard cattle units, with a licence to hold 70,000 standard head of cattle1. The Indonesian delegation was shown around the feedlot’s state-of-the-art feed milling and cattle handling facilities by the feedlot manager, Mr Brad Robinson. “Each mill processes 20 tonnes of feed per hour and we’re using wheat and barley as the two main grains,” Mr Robinson informed his guests. Harrow Feedlot is owned and operated by Edwards Livestock, a company running an export program for live Wagyu cross cattle to Japan. The feedlot is located near Cambooya in Queensland, around 150 kilometres west of Brisbane. While there, the visitors from Indonesia were shown how the Wagyu cattle are prepared for live export to Japan. “Every 40 days, we send 1,400 steers on the boat to Japan,” Feedlot Manager, Mr Matt Edwards, explained. “Our protocol to Japan requires us to keep the animals here for 30 days, during which time we quarantine, do blood tests, and perform other tests to ensure the animals are fit for travel. “We put the steers on the boat at 300 kilograms. In Japan, they are fed for 500 days to reach 850 kilograms.”At the end of the tour, Indonesian co-chair Mr Soedibjo expressed his gratitude and said the visits to the three sites proved extremely beneficial, providing insights into Australia’s management systems and processes.